← Silent Auction a Smashing Success! Team Love4Gambia’s appearance at the Blue Nose is drawing near! I’m thrilled to report that with 4.5 weeks to go, we’ve hit 40% of fundraising goal, $4000! We are continuing to profile the runners and walkers who make our fundraising possible. We want to show you what makes these generous people tick, what makes them tie their laces and head out the door, what makes them show up for us. Today’s walker in profile is Philip Roson. 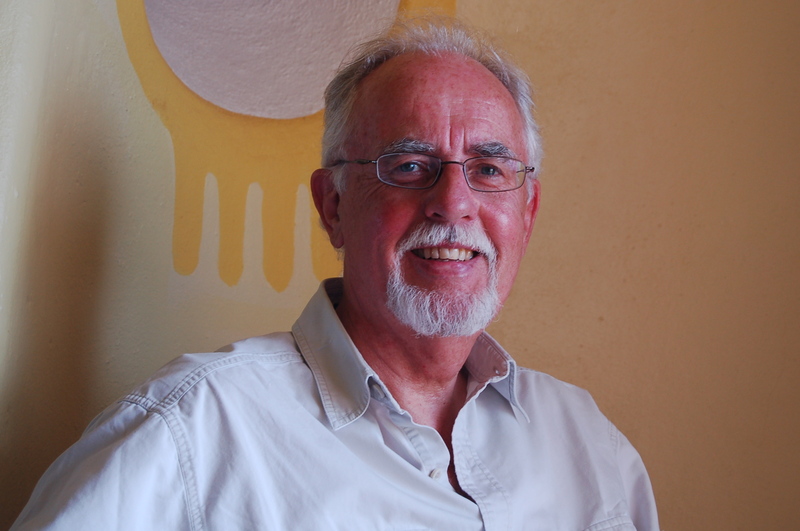 Philip is a retired professor, veteran volunteer on the African continent and the chair of the NSGA Board of Directors. This is his second 10km event for Team Love4Gambia. EP: How did you become affiliated with the NSGA? PR: I was asked to join the Board three years ago by a friend. EP: Why is walking for The Gambia important to you? PR: The NSGA does great work in The Gambia but is always struggling to make ends meet. Love4Gambia is one of our biggest events for raising money to help save lives in The Gambia. EP: Is walking something that you did during your time in Africa? PR: Not very much. It was a long time ago and I was in my 20s and preferred to ride a motorbike to work and for exercise I played squash and soccer. EP: You walked the 10km race for Team Love4Gambia last year- can you share a highlight of your race? PR: Being at the start line with hundreds of runners and walkers, many of whom were participating and supporting a favourite charity. EP: Have you being training for this year’s event? What’s been the easiest part of your training? PR: I’ve been doing more and longer walks in Halifax and at the cottage. The better weather has made this more enjoyable. EP: What’s been the most challenging part of training? PR: No problems so far. EP: How do you keep motivated? PR: Knowing that the money raised will make a big difference in The Gambia. EP: What will you eat for breakfast on race-day breakfast? PR: Cereal with fruit, tea and toast. EP: What are you most looking forward to on race day? PR: Good weather! No rain and an ideal temperature for the run/walk. EP: What advice would you give to other new walkers to assist them in their training for the Blue Nose Marathon? PR: Last year I didn’t do any long walks to prepare and my legs and joints were sore for a few days after the race. It’s probably a good idea to build up 10K on the city streets in training. EP: Thanks, Phil! We wish you and the rest of Team Love4Gambia a sunny and warm day! To wish Phil luck and support, you can donate to his walk by clicking here. Check out the rest of Team Love4Gambia roster by clicking here. Up next, Blue Nose Team Love4Gambia’s captain, Melanie Connors! Stay tuned! Are you a Team Love4Gambia runner/walker who wants to be profiled? Please get in touch with me! This entry was posted in Running for Charity and tagged Blue Nose Marathon, Charity Team, inspiration, Nova Scotia-Gambia Association, Philip Roson, Runner, The Gambia. Bookmark the permalink.